Earth Networks received awards in both the Outdoor Facility Components category and the Technology category. The first award is Gold for Technology. The second award is Bronze for Outdoor Facility Components. To view the full results of this year’s award winners, visit Athletic Management’s website. 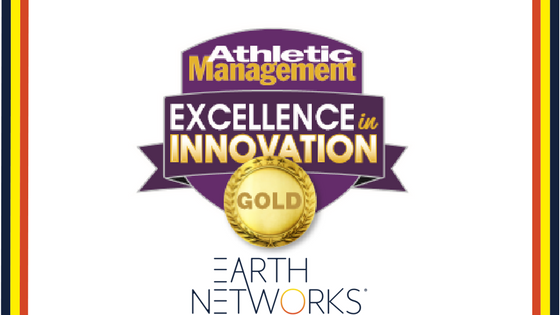 Athletic Management awarded Earth Networks innovative Sferic Maps tool with the Excellence in Innovation gold award. 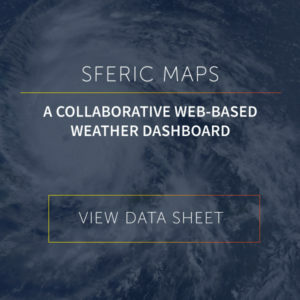 Sferic combines the best of Earth Networks patented weather and lightning software with powerful data representation, visualization, and mobile alerting capabilities. This new and powerful tool made it’s debut earlier in 2017. One of the key features that make Sferic a winner is that it’s easy to use. The intuitive and collaborative system comes with an engaged onboarding process. Once users sign up, they find the onboarding process simple, which is often hard to find when it comes to technology. Sferic also excels with including terms and phrases that are easy to understand. When it comes to meteorological technology, a lot of other tools insist on using scientific words. 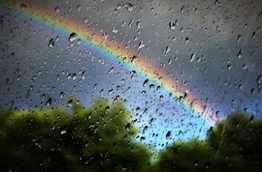 Sferic works for real people looking to protect their visitors from severe weather. It’s easy to lock down campuses and spread critical safety information quickly from different locations. To learn more about the Athletic Management Technology Gold winner, Sferic Maps, and get a free trial, please visit: http://ow.ly/QV6P30ceO98 or view our data sheet. The Earth Networks Outdoor Alerting System is one of the most comprehensive weather alert systems available to athletic managers today. When severe weather approaches, every second is critical. Everyone knows lightning is dangerous, but not everyone knows that most lightning is in-cloud. This means that it’s not always visible. The Outdoor Alerting System hooks up to Earth Networks first-of-its-kind total lightning detection system which provides automatic alerts to both cloud-to-ground and in-cloud lightning strikes. The video below shows the Bronze winner in action at Oklahoma State University. 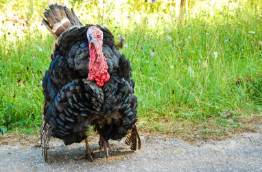 The Outdoor Alerting System isn’t just a great fit for schools and universities. It’s effective for all different types of outdoor venues. The team at the Maryland SoccerPlex relies on Earth Networks to keep visitors safe when severe weather forms. “Safety is everything. We aim to reduce injuries and create a positive experience for our visitors by providing the safest possible environment,” says Trish Heffelfinger, Executive Director of the Maryland SoccerPlex.